Amla juice – Amla juice is also commonly juice during summer season. Its scientific name is Phyllanthusemblica. It is used in medicinal and its taste is relatively bitter as an amla juice. Amla contains several types of nutrients and antioxidants so it gains popularity. As per research, it lowers the risk of cholesterol level when daily consumption of amla juice. Amla contains fiber which is helpful in improvement in digestive health. There are several antioxidants are present in amla juice thus it helps in preventing the signs of aging and also improve the appearance of the skin. The antioxidants in amla removes free radicals and prevent cellular mutation which is the cause of loose skin. Amla contains high level of protein which increases the white blood cells and improves the immune system. Potassium are present in amla juice which decreases the blood pressure, decreases the cholesterol level which lower the risk of atherosclerosis, heart attacks, and strokes. Amla juice also helps in reducing the sugar level in blood which lowers the risk of diabetes. The ellagic acid, gallic acid, and other flavonoids are present in the Amla juice which lowers the risk of several types of cancers. High level of vitamin C is present in amla juice which helps in growth and repair of all the body including the appearance of the skin. It also useful in the growth of hair which becomes hair healthy. Amla juice also helps in lowering the weight of the body because it contains fewer calories. 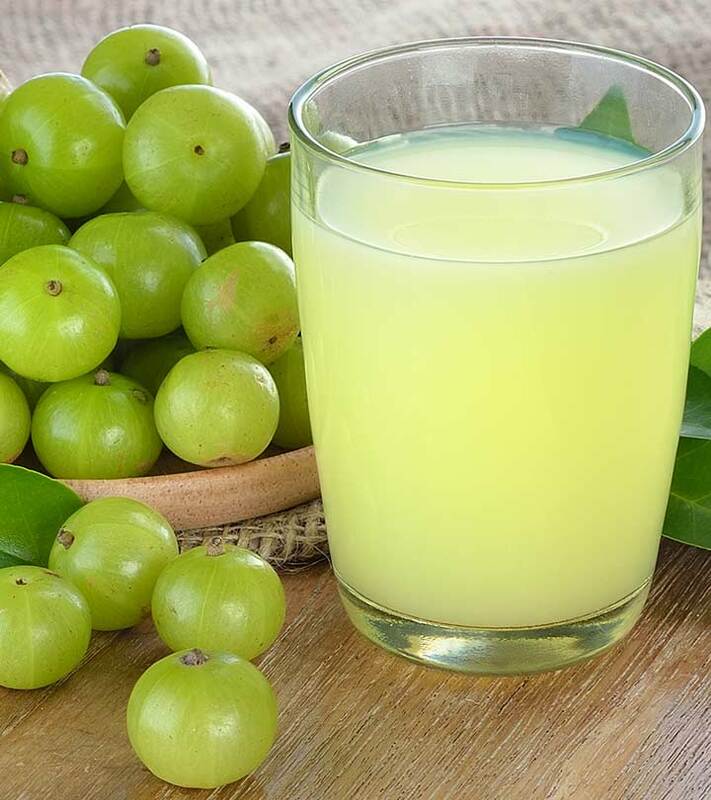 Amla juice is helpful in controlling the sugar level in the blood but over intake of amla juice leads to hypoglycemia, which is harmful for normal and diabetics people. It helps in improve the digestive system. The extra consumption of amla juice leads to constipation. High levels of vitamin C are very acidic are present in amla juice can cause increase the acidity in the body which is harmful. Several individuals are allergic to amla which causes stomach upset, nausea, diarrhea or vomiting, or swelling of the lips, tongue or throat if excessive intake. Amla are in diuretic in nature which helps in cleansing the body but it may cause to dehydration and dry skin if excessive intake of amla juice. Conclusion – The amla contain several benefits but it is harmful if we excessive intake. Thus drink amla juice in limited daily or in a week.